Deputy Defense Minister Ben Dahan tells Knesset he was surprised by his boss's decision and opposes it. Deputy Defense Minister MK Eli Ben-Dahan said Wednesday that he was caught off guard by the Defense Minister's decision to freeze a plan to have Jews and Arabs ride separate buses in Judea and Samaria. 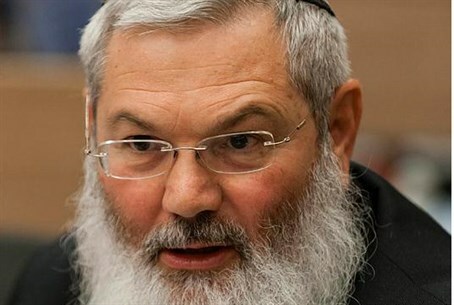 Ben Dahan was in the middle of defending the decision to separate the buses in reply to a parliamentary query on the matter – filed by MK Oren Hazan (Likud) – when he learned that the decision had been reversed. MK Tamar Zandberg (Meretz) informed Ben Dahan, as he was speaking from behind the podium at the Knesset plenum, that his boss had changed his mind. "I am surprised by the decision to freeze the separation on buses,” he told the Knesset. “I was not updated,” he said, adding that he opposes the reversal. "I did not say that all Palestinians are terrorists, but I am saying that all terrorists are Palestinians,” he added.